KuneVerda provides more than a stack of paper! KuneVerda is specialized in sustainable solutions. Through co-operation with renowned companies, KuneVerda provides the link between consultancy & advice and real life implementation & exploitation of durable, sustainable solutions. Where other companies just provide an advice, KuneVerda provides project management and, with a sound business case, participation in the proposed projects. 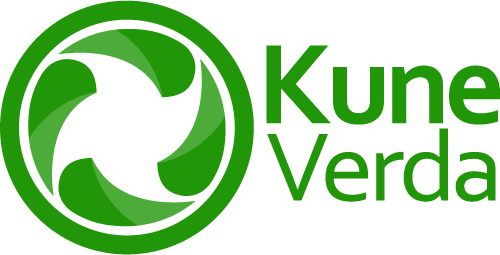 KuneVerda is founded by Ed van Dort and André van der Zwaan to support municipalities on the difficult road to meeting the Paris requirements. KuneVerda cooperates with Bongo Solar to provide full implementation of solar energy solutions ranging from individual solar panels on home roofs to industrial applications and solar farms. Besides for generating electricity, KuneVerda is also involved in heat generation with the use of solar boilers. An important source of electric power, ranging from local windmills to windpower farms at sea. KuneVerda assists with the consultancy procedures and provides integration of personal, local and regional windmill power production. Through our vast network in installation companies KuneVerda is capable of assisting in the building and integration of windpower solutions on land, in sea and for personal use. Some areas in the Netherlands (and other countries) have huge amounts of thermal heat available at an explorable depth. KuneVerda has the expertise to create a business model around recovery and distribution of the natural and environmental friendly source of energy. Maybe a combination of thermal heat with residual heat from industry might just be a solution for your municipality! Wind and solar energy have one major disadvantage; the power produced is often not in balance with the needed power at the time. Power to Gas provides a solution. Although the yield is only 35% when converting electricity to gas and back to electricity again, power to gas avoids 'throwing away' surplus of energy from wind and solar sources. When the surplus is converted to SNG (Substitute Natural Gas), the natural gas network can be kept active in specific areas. KuneVerda has the expertise to create a solid business model around Power to Gas solutions.